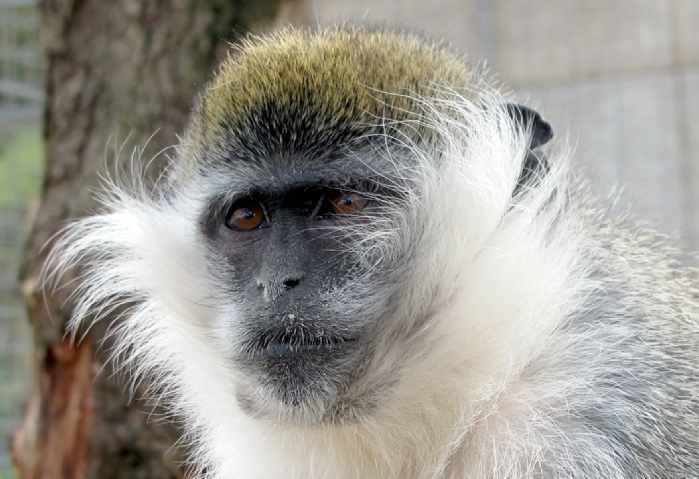 Vervets are old World monkeys native to Africa. They are now only found in Southern and East Africa including Somalia, Ethiopia, Southern Sudan and South Africa, but they originally populated most habitable parts of Africa. Six distinct sub species of vervet are now recognised but the physical differences are not dramatic. 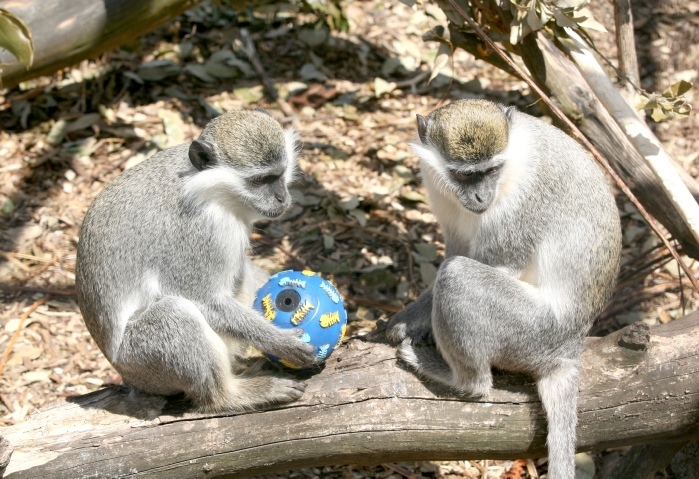 They are all known as Vervets, Grivets or Savanna Monkeys. As their name suggest they are commonly found on savanna, but they also populate riverside and ocean-side forests as well as mountains up to 4,000 metres. Vervets are semi-terrestrial and semi-arboreal, being equally agile whether foraging on the ground or in the trees. They invariably sleep amongst the smaller branches of trees to minimise their exposure to predators. Although the ever increasing pressure from humans has reduced the numbers of their main natural predators, leopards, pythons and eagles considerably, man himself has now become their major predator. 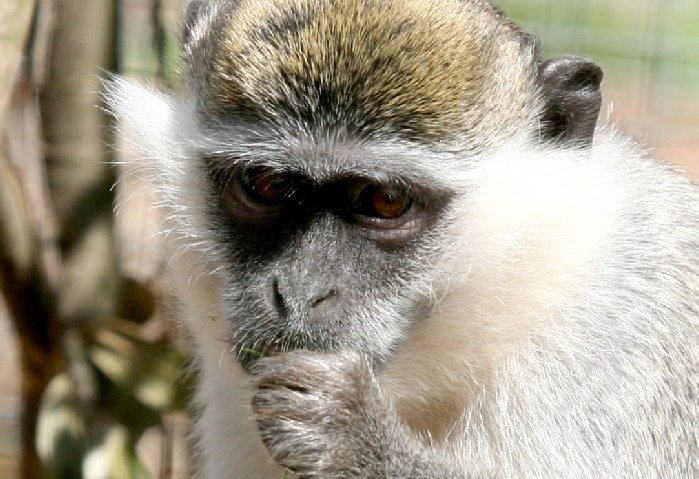 Vervets will eat most cultivated crops, especially maize, and this brings them into direct competition with the local population. Vervets are shot, poisoned, trapped, hunted for bushmeat and used for traditional medicines and biomedical research. In addition they are highly susceptible to traffic impacts and electrocution by power lines. There has been no reliable assessment of their preservation status, although they are known to have disappeared from areas of South Africa in recent years and may be endangered in many others. Vervets have been introduced to some Caribbean islands including Barbados and St Kitts & Nevis where they appear to be flourishing, have few natural predators, and are better tolerated by the human population. Click here to read about Dede and his friends at the Sanctuary.